Alexei "Volk" Volkovoy is an agent for the Russian military. He is also an intermediate crime boss in the Moscow underworld. Both occupations are true and simultaneous and just part of the story of a very complicated man with an incredible history and a penchant for getting into more trouble than most of us could have nightmares over. His primary job is that of a Colonel in the Russian army but he wears no uniform and has not donned one in several years. He answers to the General, a high ranking member of the Russian Army but it is unlikely his name is officially on any roll because the work he routinely does for the General is not something his boss would want known. The General is powerful and in with the governments leadership but he is also quite willing to break a lot of laws. Whether it is for personal enrichment or to earn the money to see his soldiers get paid regularly is open to argument. Volk will not be part of that discussion, though, because he does not care. He and the General go way back and both owe their lives to each other and Volk does what the General says because he has always done so. His work for the General is not full time, though, and to help earn his own keep during the off times, Volk has a fairly profitable illegal side business. He deals in vices and he has a nice block of territory marked out in Moscow. In that regards, he answers to a different boss, the powerful and extremely deadly Maxim, an Azeri underworld overlord who rules most of the criminal establishment in Russia's capital. To go up against Maxim is to sign one's own death warrant and Volk is far too smart to do that. So Volk works at his illegal trades for most of the time, responding to Maxim's occasional orders. He also reports regularly to the General and drops everything when that man sends for him. To others, Volk is a cold-blooded killer who shows no fear under any circumstance, not because he does not experience it but because nothing he routinely goes up against can compare with the life he survived before. 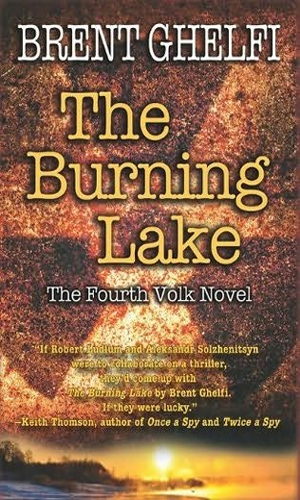 An orphan passed from foster home to foster home from the time he was old enough to be aware, Volk learned to fight to survive from an assortment of sources. His combative nature got him thrown into juvenile detention, put into a penal system along with hardened criminals. The chance to escape that life came with the opportunity to serve in the military and he took it. He also took to it and quickly became a member of the Special Forces. That led to time in Chechnya as a sniper and a "shoebox" full of medals. That ended when he was captured by Chechnyan rebels and subjected to six months of unimaginable torture and suffering. Part of the interrogation had consisted of a huge, heavy piece of equipment being dropped on his leg and loss of his foot. Now a prosthetic limb allows him to move as well as he once did but serves as a reminder of what true suffering is. Joining Volk in his dual employment is the enigmatic, exotic Valya Novaskaya, a young woman not yet 20 who has endured even more hardships than Volk and who has learned to kill swiftly and efficiently and who uses that talent to help the man she loves..
Volk is pressured into going after a DaVinci painting hanging in a museum in St. Petersburg but while getting it will be extremely risky, keeping it and staying alive will be next to impossible. Different forces are at work to drive Volk back to the war-torn region of Chechnya and into the hands of the man who tortured him years before. The Moscow police are insistent in demanding Volk help solve the murder of a prominent Hollywood producer on their turf. Doing so can also help clear his family name but it is more likely to get him and Valya quite dead. 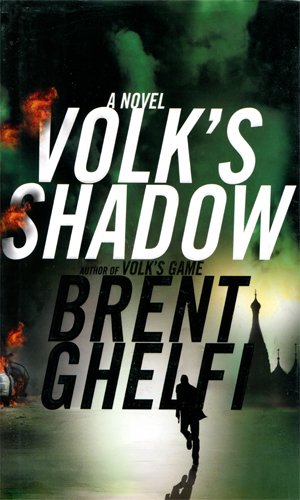 When Volk becomes determined to find out who killed a female Russian reporter, he discovers that there are several others just as set to keep the answers hidden, including agents from other countries. Pressing on is also causing trouble between Volk and his lovely and dangerous Valya. I had my doubts about this terrific series when I read the protagonist was a Russian agent and a low-level member of the Russian mafiya. I like to like my main characters, not root against them. But I forced myself to read at least one book in the series. After finishing the fourth book, I looked online hoping there was more. So far not but I keep hoping. This is an incredible series. Volk is a good guy who occasionally has to do things he does not like but as you follow the events, you understand and you sympathize. It takes a very talented author to pull it off and Brent Ghelfi is such a man. I truly devoured the books and was so glad that I had bought all before starting them. 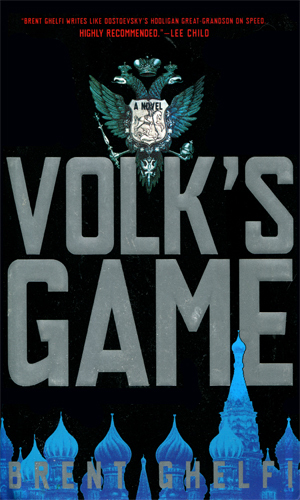 Volk's life is too compelling to wait for the next book to arrive. To make the series even better, though it did not need it as good as it is without her, is Valya. What a terrific creation, richly developed enough to make compelling but with still enough mystery to make her fascinating. Less is more, wonderfully so. If ever the author decides to return to the cold, unforgiving world of Alexei Volkovoy, I will be there to great him. 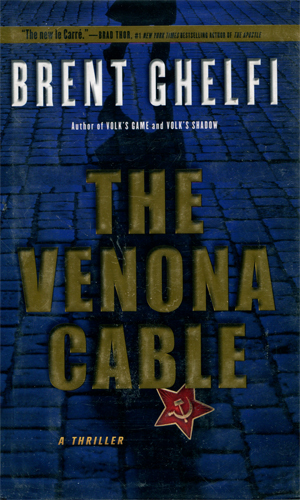 I've only read the Verona Cable, but I was impressed by it and Volk, you can read my review at mysteryfileblog.com, a good read though a bit grim over all.